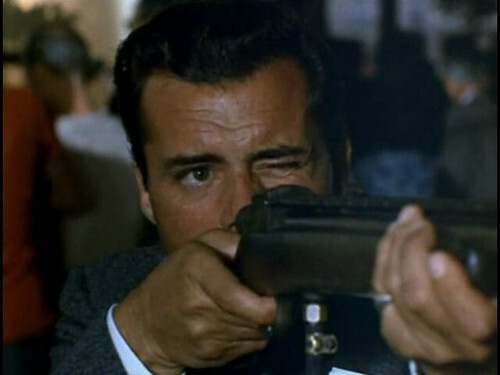 As you might recall, a little over a month ago I received a gigantic order of Dirk Bogarde DVDs. Before they actually arrived in the mail, I was planning on having a Dirk Bogarde spree and watching them all at once. But when they came I chickened out. I realized that there are only so many DB movies available, and I really should ration them. 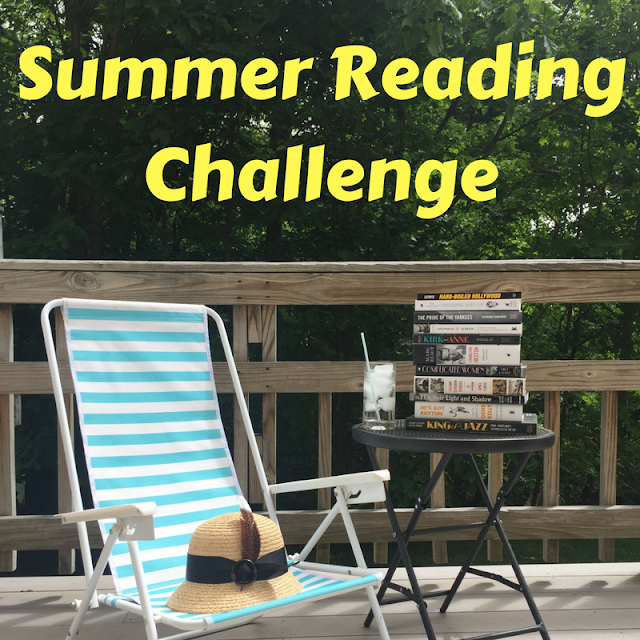 The one that I kept eyeing, putting in my dvd player and taking back out again-- trying to put off until the last minute because it looked SO good that I wanted to save it as long as I could-- was Hot Enough for June. 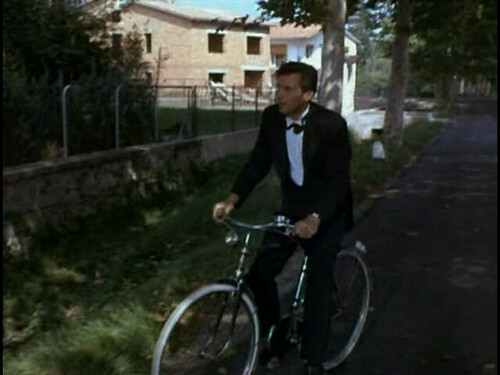 Hot Enough for June is a James Bond spoof from 1964. It begins with an agent turning in the shoes, passport and belongings of another agent who was killed in the line of duty. Right away we find out that the agent was James Bond. Instead of recruiting a professional spy to take 007's place, the British government decides to pluck someone from the ranks of the unemployed. 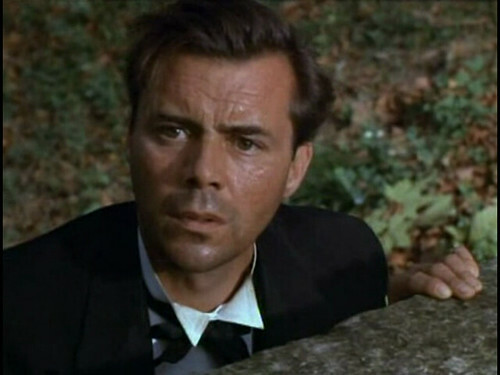 Enter unemployed (and unpublished) writer Nicholas Whistler, played by Dirk Bogarde. While Hot Enough for June is a spoof of a James Bond film-- with the espionage, bikini-clad love interest and cold war theme, it also had elements of Hitchcock films like North by Northwest, with the innocent bloke getting mixed up in a huge conspiracy. Typically, spoofs can be either really good or really, really bad. If the laughs are played up too much, it stops being a spoof and just becomes farcical nonsense. But Hot Enough for June struck the perfect balance between a real plot, with real suspense and real intrigue - and the comedic flourishes that made it such a fun film. 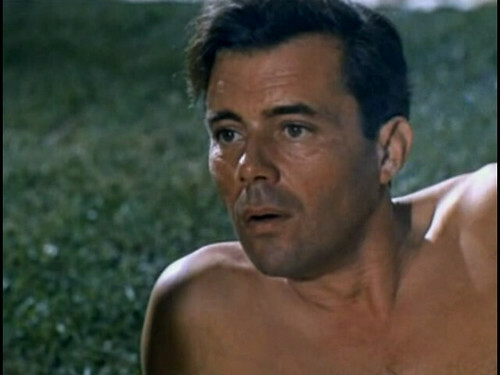 Dirk Bogarde was perfect playing Nicholas Whistler -- he was at once clever in getting himself out of all the sticky spy situations and yet rather bumbling and confused about what was going on around him. A few of the hilarious moments come when he is trying to find out who his contact is in Prague. His code phrase is "Hot enough for June", to which his contact should answer "but you should have been here last September." He approaches a few people before finally finding the right man, and his attempts at finding a way to work that phrase into the conversation are laugh-out-loud funny. The plot also makes use of the suspense-film cliche where a man on the run has to keep changing his clothes to stay a step ahead of the police. Stealing a jacket, or changing hats with someone in a bar so that his appearance won't match the description on the Wanted signs. Dirk Bogarde goes through seven different outfits during his time on the lamb, a few of which are absolutely hilarious to see. After finishing the film last night at 5am (!!) I put it on again to listen to as I dozed off to sleep. When I woke up in the morning, I started it over again and laid in bed watching the whole film before eating my breakfast. I could easily watch it again tonight, but I won't... 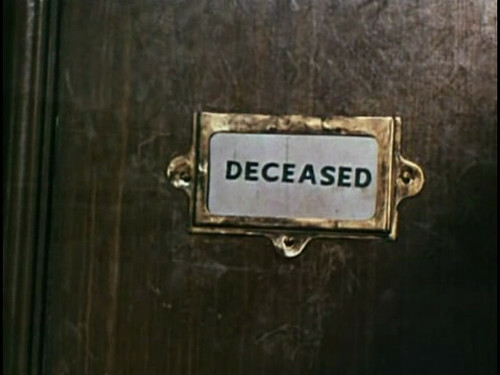 I'm going to give the Dirk Bogarde films a rest for a few days. I took over 30 screen shots from the film. You can view them in my flickr set here. ps. 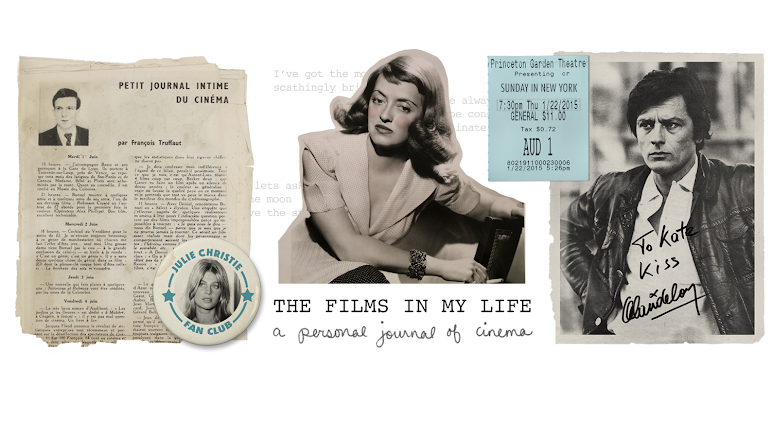 I re-did the sidebar again-- what do you think? 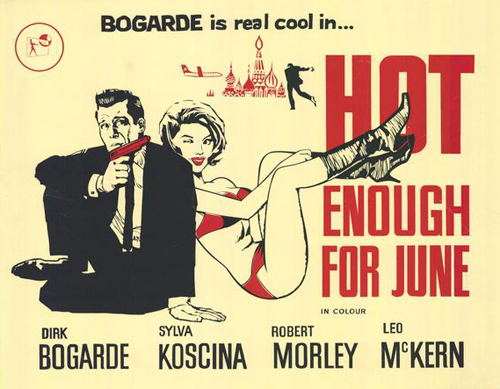 I think Hot Enough for June may well be my favourite Dirk Bogarde film of all time. I agree with you that it is perfectly balanced as a spoof. And what I really love about it is that it pretty much spoofs the whole spy genre, from James Bond to Hitchcock's classics. 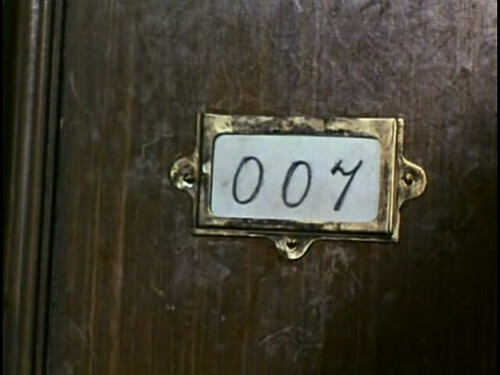 Most spoofs of the era stopped at Bond. Or at The Man From U.N.C.L.E. It is such a fun film! I know what you mean about wanting to save a good movie. I always tend to put things off if I know I'm really going to enjoy them, because that way I still have it to look forward to and don't have to be disappointed that it's over. 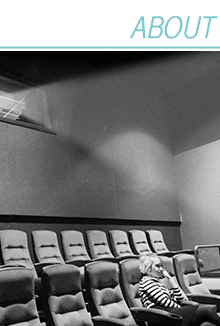 The great thing about movies though is that we can always watch them again, as you've obviously discovered. I'll definitely check this one out if I ever get a chance, because it sounds like a really great parody, and as you pointed out those are so hard to pull off. Another good write-up, Kate. Haven't seen this one, and I thought I'd seen all the spy spoofs. I will have to track this one down. It sounds like fun...especially with Robert Morley. He is always a kick.